This study deals with one of the most important aspects of the communication technology development which is spreading at an amazing speed, namely the Internet and the importance of its use as an effective future weapon that is important to influence the public opinion, especially the university students who are the backbone of society. The task at the educational and educational level in the field of media. In this field, the study went on to formulate a set of questions in a specific questionnaire to identify the patterns, habits and nature of students' use of the Internet, especially the means of digital communication and the purpose of these uses, and then to identify the most important problems and obstacles as a result of this exposure and to point out the negatives and positives from their point of view This use of the change in the cultural and scientific level of university students, and the detection of skills gained or lost during the use of students to the Internet, and finally to identify the sites and forums and search engines that are exposed to university students taking into account some of the change (Type, academic specialization) and its relationship to Internet usage. 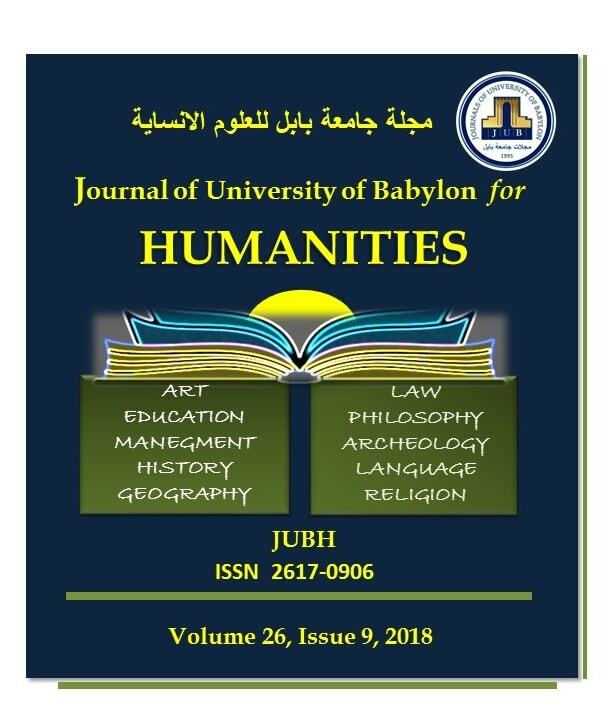 Q. Alsadie and H. Al shmaree, “Internet Usage in the University Medium and its Future Prospects (Field Study on a Sample of Students of the University of Babylon)”, JUBH, vol. 26, no. 9, pp. 469 - 506, Dec. 2018.